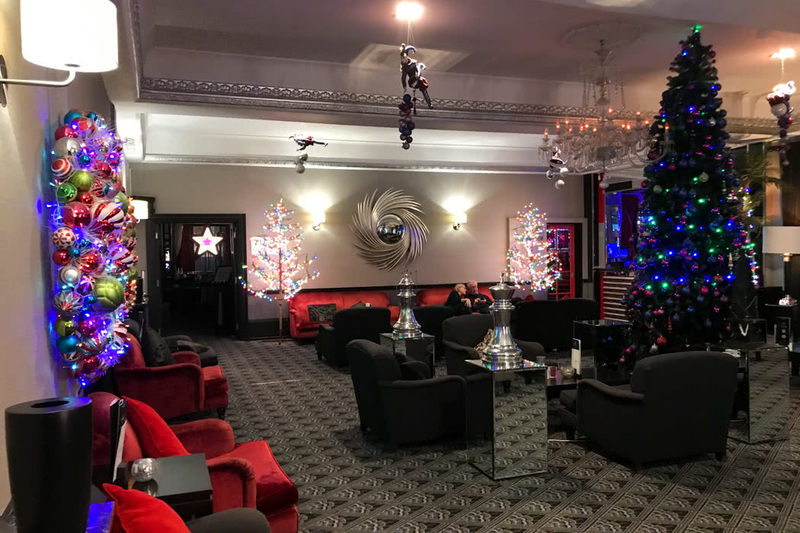 If you dream of a hotel across the road from the glorious golden sands of Bournemouth beach and with it’s own “Nikki Beach” style Dj nights on the decked terrace of their stylish pool, you must try The Cumberland Hotel Bournemouth. I visited this sea-front hotel on a blowy wintery evening in January. 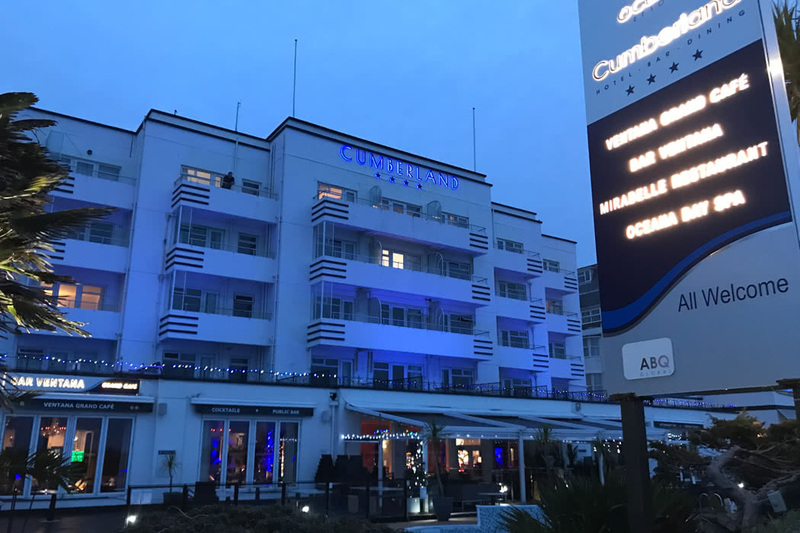 Even as the winds were battering me, as I took photos of the exterior of the hotel, the Cumberland hotel’s fabulous Art Deco style and lighting lifted my spirits. This hotel is easily the most attractive hotel on the clifftop. It’s look is so atmospheric that you expect Poirot to step out of the front door. The location is to the East of the centre of Bournemouth. 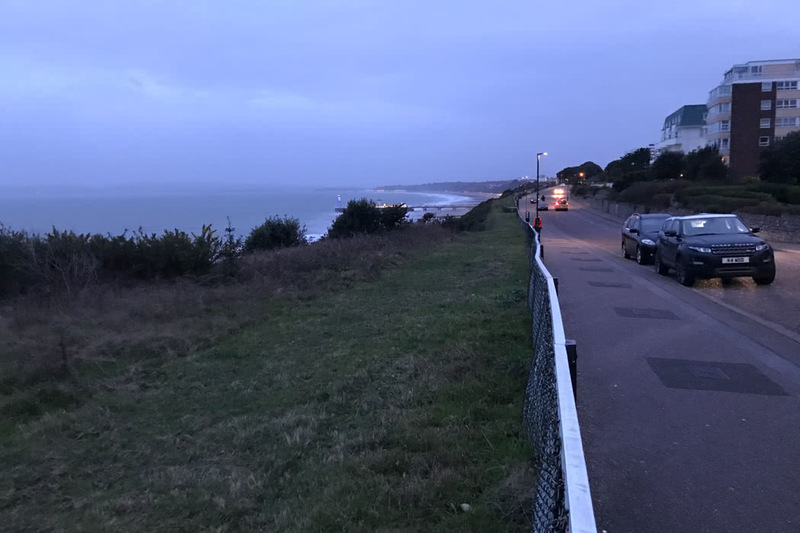 The town centre is an easy walk downhill and the views from the hotel are fabulous, with Bournemouth pier twinkling in the distance and endless vistas of the sea and across to the Isle of Wight. Directly in front of the hotel is the beach. There are many little pathways which will take you zig-zagging down the cliff to the sands below. While I was staying, the beach was a mass of crashing waves and spectacular spray. In the morning I took a bracing walk along the pathway next to the beach straight into the town centre. If you fancy it, you can walk right up to Sandbanks many miles away. The hotel is so very stylish. The sparkly lights from Christmas were still up when I stayed which was magical. 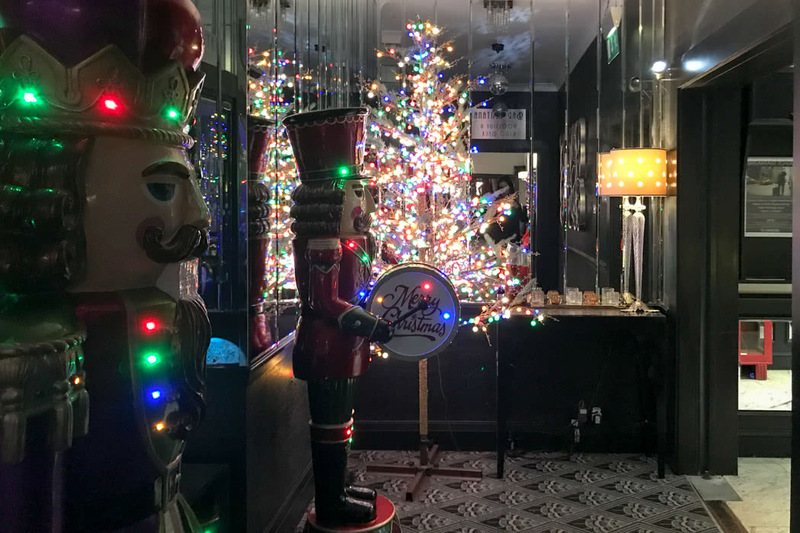 Even without them, the hotel embraces it’s Art Deco style with lighting effects and decor that would fit with the 1920’s as well as today. 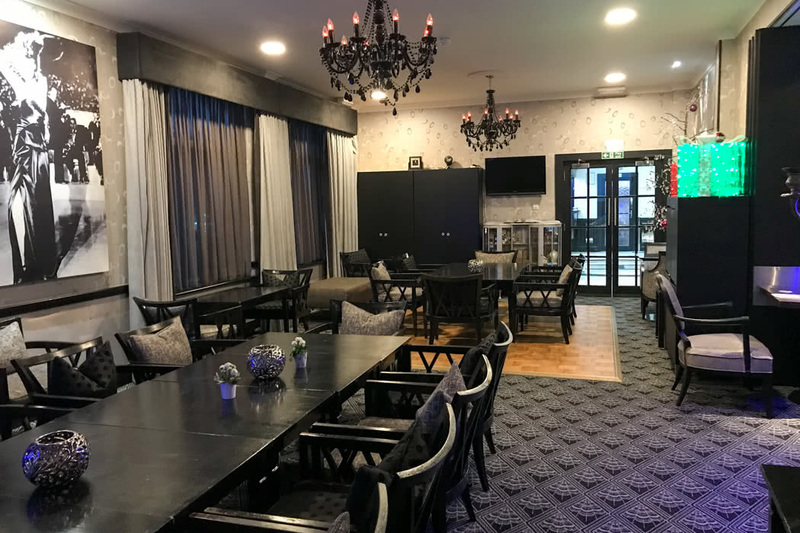 There are a number of restaurants and conference rooms in the hotel (ideal for weddings and Christmas parties!). 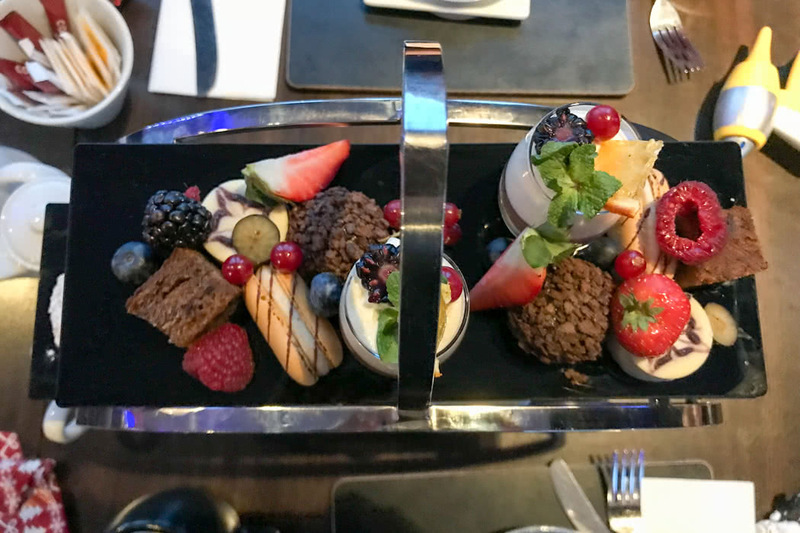 The highlight for me was their 2 rosette Ventana Grand Café restaurant. 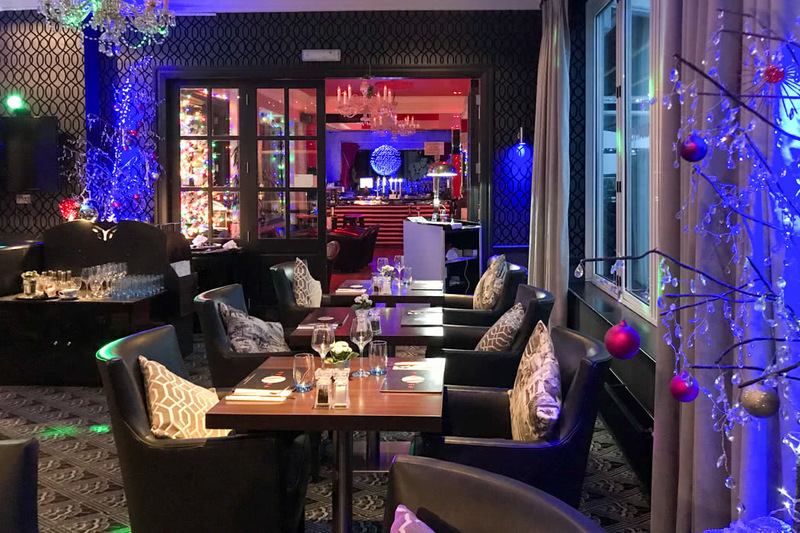 This contemporary restaurant has an excellent reputation for both lunches, evening meals and their afternoon teas which are said to be the best in Bournemouth. 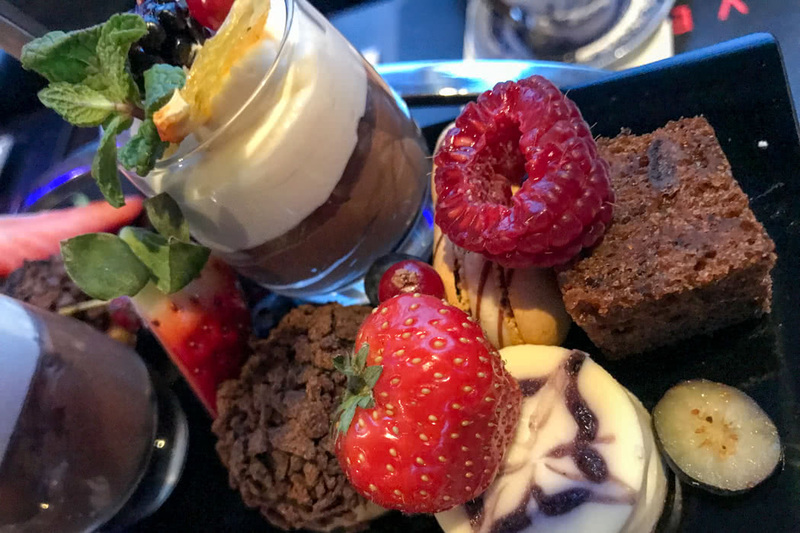 If you scroll through the photos of my own afternoon tea here, you will see the extraordinary array of sandwiches, scones and more. 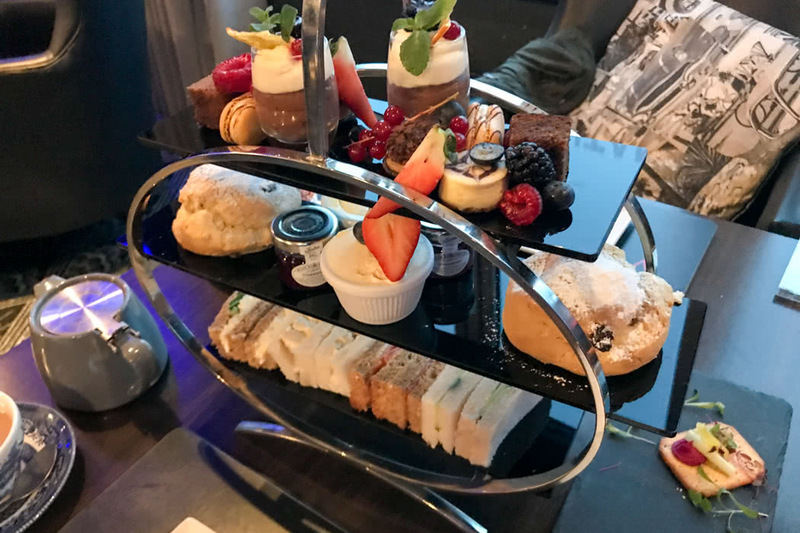 I can vouch for the excellence of the tea and everything that came with it. There is an outdoor pool at the front of the hotel that benefits from sunshine all day (it is south facing) and, if you are blessed with the good weather, it must be one of the best places to relax on a warm afternoon in Bournemouth. 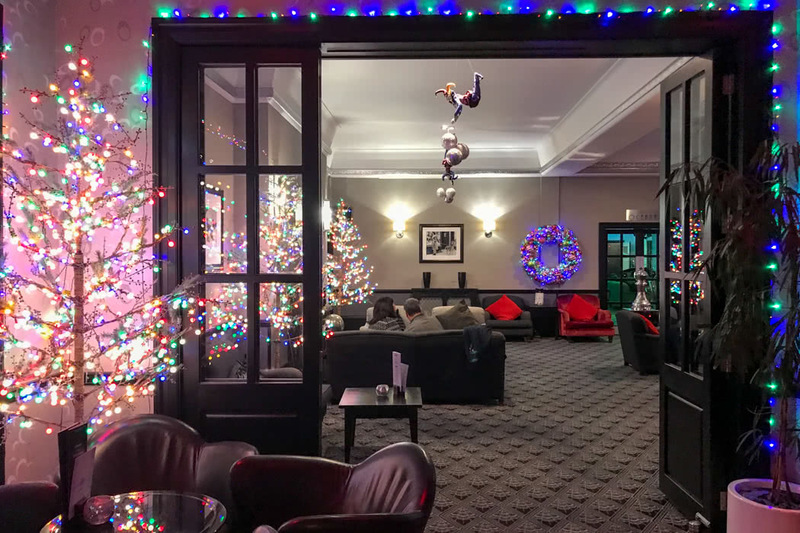 If you visit in the winter, the Cumberland is part of the Oceana Collection of hotels and you get complimentary access to the indoor pool in one of their sister hotels. There are a variety of room types at the Cumberland but to fully appreciate it’s position you need to book an oceanfront room which offers a balcony or terrace and is the best way to enjoy the hotel’s glorious location. Location, Location, Location. 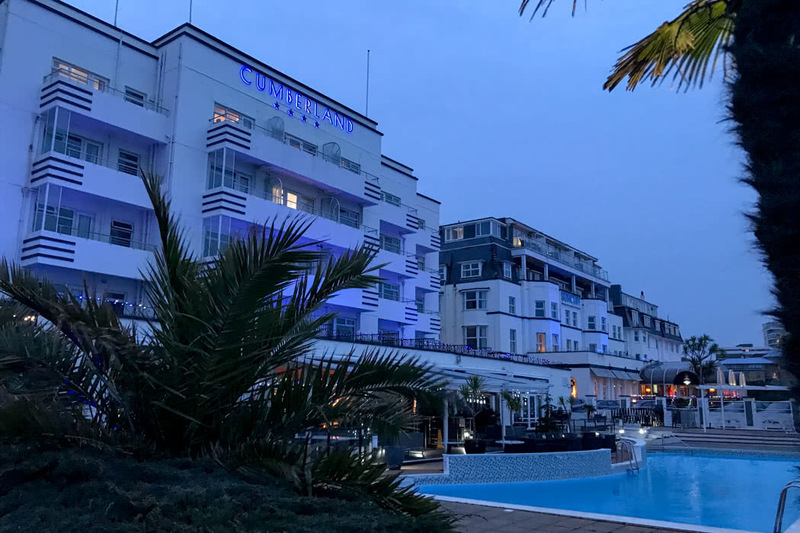 For the beach, pool (the best outdoor pool in Bournemouth in my humble opinion) and fine dining, the Cumberland really is a rather good choice on the East Cliffs of Bournemouth!